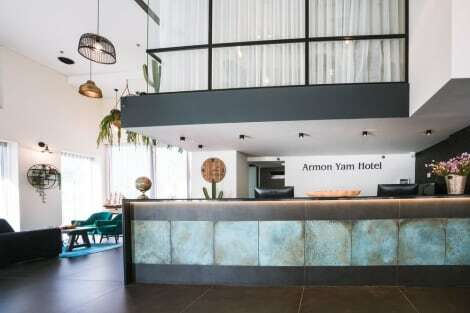 Tel Aviv will whisk you away to a great spot on Israel's sunny coastline and, not too far from Cyprus, you'll find the up and coming tourist destination of Tel Aviv. 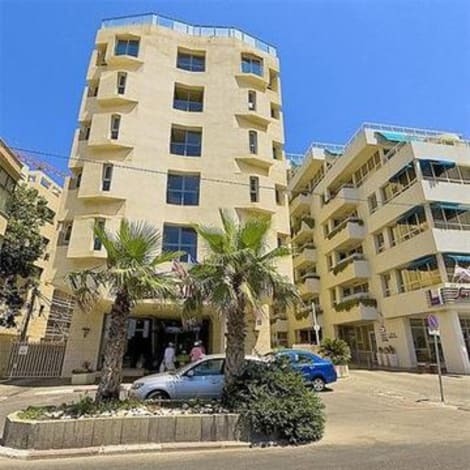 This is the second most populated city in Israel, and perfectly located for a great holiday with lastminute.com. 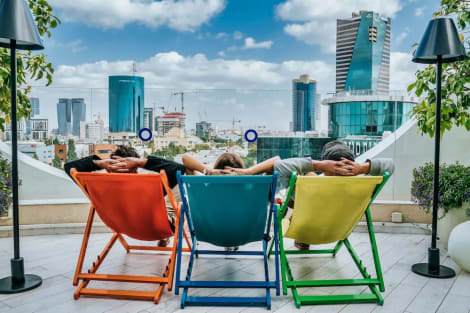 Tel Aviv has a fascinating history to tell, and you'll be able to learn all about it at the Tel Aviv Museum of Art. The impressive building is home to plenty of inspirational works, not to mention some educational exhibits for the kids. On the city's impressive coastline you'll find Jaffa Port. This ancient location used to be a centre of commerce for the city that was then known as Jaffa. Now it's a great spot to see impressive buildings and pretty boats. The city is also littered with some great green parks and spots to picnic, like Yarkon Park which is home to leafy walkways and boat trips. If you're looking for family friendly fun then there's plenty to keep the kids occupied too. The popular Ramat Gan safari park is 250 acres, and has a huge and unusual collection of animals. You can pay a visit to the African safari zone, or else visit the modern outdoor zoo. If animals aren't your cup of tea then take the family along to Luna Park. This amusement park has rollercoasters, Ferris wheels, bumper cars and every other kind of attraction you could need for an exhilarating afternoon. Tel Aviv beaches have a focus on comfort and relaxation. Visit Tel Baruch beach for a good family atmosphere. You'll find calm waters within the nearby bay and green lawns to relax on as well as the sand. The nearby restaurant has some great food and drink so why not eat lunch by the sea? Metzitzim is a more active beach. It has three different volleyball courts to choose from, an outdoor playground to keep the kids busy and even a workout area if you're craving some exercise. The young and cosmopolitan city has plenty going on in the evenings, attracting lots of people from the surrounding area in search of the reputable nightlife. In general the locals drink at small and informal neighbourhood-style pubs like Ha'geula. These kinds of bars enjoy a friendly and laid back attitude, with a variety of drinks to choose from. For something a little livelier you can search out one of the many venues for live music. Shablul Jazz perches right on the waterfront in one of the city's various ports, and has some great nightly jazz acts.